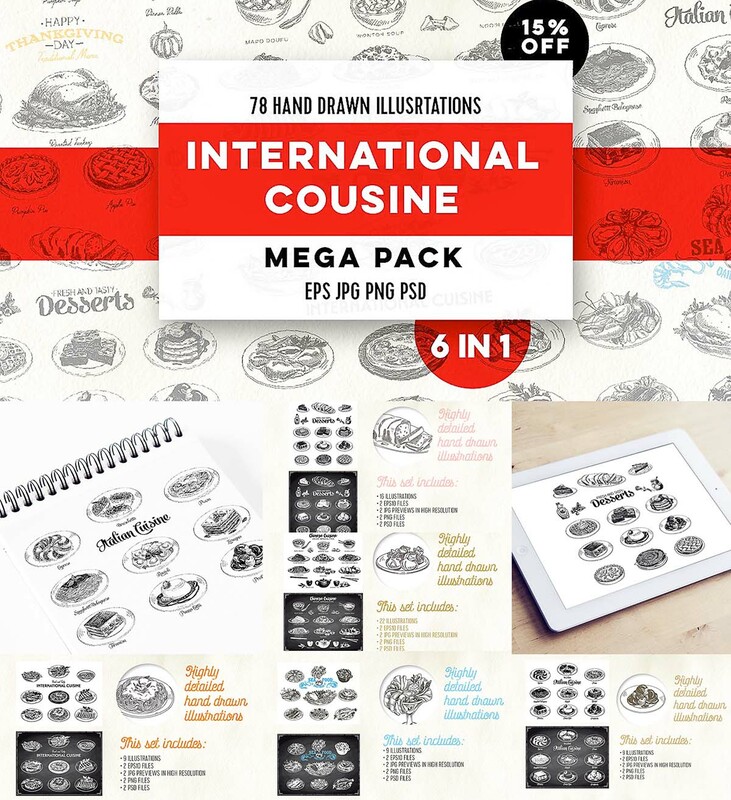 78 vector hand drawn international cuisine illustrations. Highly detailed sketch. Chalkboard version included. File format: .eps, .psd for Photoshop or other software. Tags: chalk, Chinese, cook, cuisine, desert, dinner, food, frame, international, menu, sketch.